A wise investment. Replacing your roof may appear to be a difficult decision, but you'll appreciate the long-term benefits. The experts at ECC Roofing & Siding know that a roof replacement is a serious matter for any homeowner, and they are committed to making the process as simple and enjoyable as possible for their customers. Our roof installment process will make sure that your home has a dependable, quality roof that will enhance your curb appeal and look brand new for years. You can choose from our array of first-rate roofing materials, and no task is too big or too small. No roof lasts forever, no matter how well made or maintained. Of course, you shouldn't rush into getting a replacement without gathering the proper information, which is why we help you decide whether replacement or repair is the better course of action after our experts evaluate your roof. Does your home need a roof replacement? Call 1-855-251-7115 or click below for a free roof replacement cost estimate! We proudly serve the Cherry Hill, Vineland, Clementon area! This customer has just purchased this home and discovered some leaking. Our project mananger went out and assessed the damage and we ended up replacing the entire roof due to the leaking. On this home we used Owens Corning Tru Definition Series Shingles in the color Summer Harvest. The homeowner absolutely loved the results! This homeowner decided to go with Owen's Corning Duration shingles in the color, Estate Gray. After meeting with Our Certified Project Manager Rusty, Bryan was impressed with our company's proposal. Since we offer financing, Bryan was able to get a full roof replacement that fit his budget! He was amazed by the final results of his project. This was a full roof replacement in Bellmawr. On this home we used Owens Corning Tru Definition Series Shingles in the color Desert Tan. Anthony was amazed with the results. Our Certified Project Manager Mike was canvassing the area when he met Wayne. Wayne was interested in getting a roof replacement after learning about all the products our company offers. After signing contracts work soon began and Wayne decided to go with Owen's Corning TruDefinition Duration shingles in the color Estate Gray. Both Wayne and his wife were more than ecstatic to see the final results! These homeowners were looking for a trustworthy contractor when they came across ECC Roofing and Siding. Still living in Florida, they had no idea what contractor to choose. Our Certified Project Manager, Mike went out to their property to inspect the roof and was able to send them a video to show them what was wrong with the roof since they were still in Florida at that time. ECC was able to finish this full roof replacement in only one day! They chose to go with Owens Corning TruDefinition Duration Shingles in the color of Colonial Slate. The homeowner called in because his 25 year old roof was leaking. We sent one of our Project Managers out to determine the extent of the damage. The homeowner decided to completely replace the roof. He chose Owens Corning TruDefinition Duration shingles in the color Sierra Gray. This homeowner reached out because she thought that her roof needed to be completely replaced. One of our Project Managers went out to assess the roof and let the homeowner know what her options were. She decided that she would completely replace the roof and chose Owens Corning TruDefinition Duration shingles in the color Amber. She was very happy with the final results! Our Project Manager Mike was canvassing around the Williamstown area when he met James. James was interested in getting his roof redone prior to meeting Mike so the timing could not have been more perfect! After inspecting the roof and providing an estimate James was impressed with our company and signed contracts. James and his wife decided to use Owen's Corning shingles in the color Quarry Gray and were extremely impressed with the end results! This Homeowner's roof was about 20 years old and it was starting to cause them problems that were only going to get worse in time. Being the smart Homeowners they were, they decided to get a completely free estimate on a full roof replacement from us! Our Project Manager Rusty went out there in a flash to help relieve some of the stress they were going through. He gave them an undeniably amazing price for a full roof replacement as well as gutter and screens! They were flabbergasted at what a great deal they were getting. After a long decision, they went with Owens Corning TruDefinition Duration shingles in the color of Brownwood, which compliments the house extremely well. As the end result, they were more than happy that they decided to go with us as there Roofing Company! Evon called ECC from a referral that we did in the previous year. She was interested in getting a full roof replacement since her roof was over 25 years old. She met with Our Certified Project Manager, Mike and went over all of the options that we provide. She decided to go with Owens Corning Duration Shingle color of Brownwood. As you can see, it was a great choice of color! Here is a before and after picture of a full roof replacement that we have completed in Magnolia. On this home, we used Owens Corning TruDefinition Shingles in the color Quarry Gray. Our Project Manager Mike, was able to provide Jim with a reasonable quote within his budget. Jim was very pleased with the work that was performed by ECC and ecstatic about his new 50 Year Roofing System! The homeowner had called in because she wanted to upgrade her home with a new roof and new siding. One of our Project Managers went out there to assess the roof and bring the homeowner some different options of colors for her new roof and siding. The homeowner chose CertainTeed Mainstreet siding in the color Flagstone and Owens Corning TruDefinition Duration shingles in the color Onyx black. She was thrilled with the finished product! Edward and Donna were going through their homeowner's insurance to get a full roof replacement covered and were looking for a contractor to assist them through the entire process. ECC is one of the few contractors that work with insurance companies so they were very pleased we would be there for them every step of the way! Our Project Manager Rusty was able to get the whole roof replacement approved and not long after both homeowners opened the claim work began. After observing the plethora of shingle colors Owen's Corning offers they decided to go with Owen's Corning TruDefinition Duration shingles in the color Desert Tan. The end results were incredible! "Thanks to the ECC Roofing team! We are beyond pleased with..."
When you install a new roof, you immediately enhance the safety and curb appeal of your home. 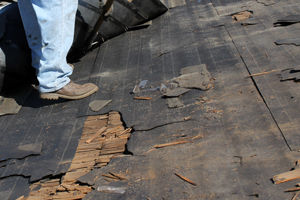 The first and most obvious reason to get a new roof is to replace an old and damaged roof. Eventually, every roof gets replaced, and if your roof has extensive damage to shingles and flashing, or has holes or leaks, roof repairs may not be sufficient. If your roof is past its warranty or looks worn out, have your roof inspected, and the experts at ECC Roofing & Siding can help you determine your next step. 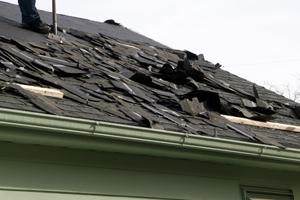 Storm damage is another common cause for roof repair. No amount of careful maintenance can protect a roof from severe weather, and unfortunately, high winds, hail, and falling trees can cause extensive damage to a roof. If your roof has sustained storm damage, ECC Roofing & Siding is here to help! Quickly and effectively, our roofers can restore your home and keep it safe and dry with a dependable new roof. Of course, there doesn't need to be a disaster for you to get a new roof. A new roof can completely change the look of a home, and many homeowners choose to install a new one simply for the aesthetic value. Are you re-painting or re-siding your home? Add a new roof to complete the look! Adding a new roof is vital to the home improvement process, as it increases the property value and curb appeal. Installing a new roof is the ideal cost-effective option for a rapid exterior makeover. A plan for every problem. Even if weather damage made your roof replacement necessary, we can provide a quick, efficient solution. At ECC Roofing & Siding, we understand that the roof replacement process can be difficult and confusing. We are dedicated to working with you at every step to ensure that you get exactly what you need at a cost you can afford. Regardless of your motivation or needs, our expert team of roofing contractors always provide high-quality roofing solutions that will last for years to come. Call us today to schedule a free roof replacement cost estimate! We are proud to serve Clementon, Vineland, Cherry Hill, Bridgeton, Sicklerville, Rancocas, Mount Laurel, Hammonton, Monroe, Blackwood, Mount Holly, and throughout the surrounding areas.